We are currently travelling in Tasmania and are having a great time sampling many of the wonderful foods and beverages on offer down here. I have had to post this one a day earlier as I won't have access tomorrow. However, you probably wont' read this until Sunday - So Happy Cider Sunday Everyone!! 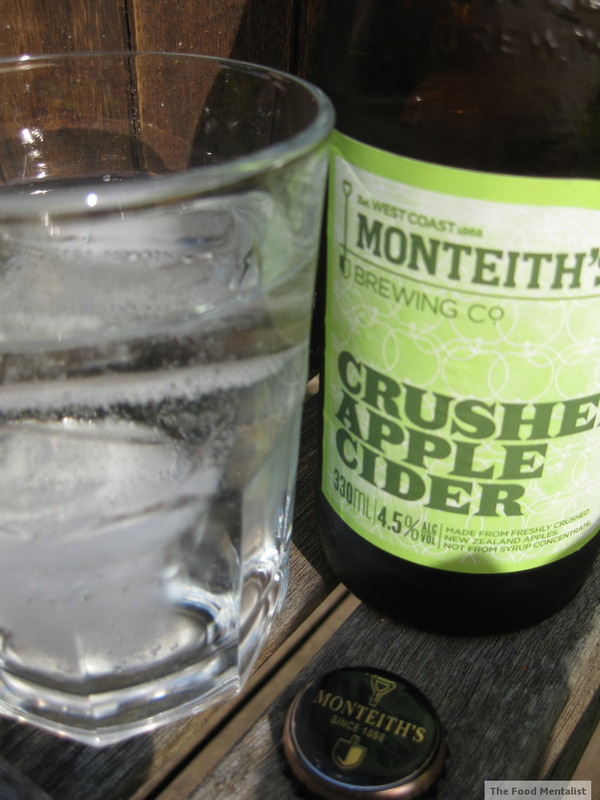 This week's cider is comes from across the gap - another Montieth's from New Zealand. I decided to review their Apple Cider for this week's Cider Sunday having previously reviewed their Crushed Apple & Pear Cider which was fantastic by the way. Again, this one is a pale, medium-bodied cider. It is very crisp and refreshing and it is on-tap at our local pub in Balmain, so we choose it every time we visit. It is made using 100% apple juice and is pale in colour. A perfect Summer Cider! It pairs really well with most foods and it's so easy to drink. We shared a case of this delicious cider with our friends and family over Christmas lunch and made sure we finished it off before we came down here to Tassie. It comes in 330ml bottles and has a 4.5% alcohol content providing 1.2 standard drinks. $12.99 per pack of 4 or $54.99 per case of 24. This one is one of my favourites, too. 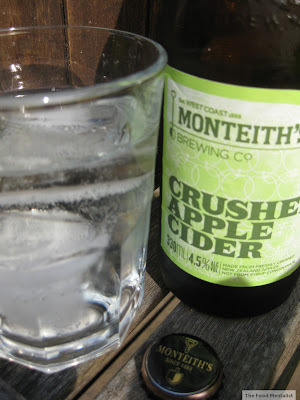 This is my favourite Aussie cider...lovely poured over ice on a hot day!! love cider sunday! my hubby is totally loving cider:) we bought some from Castle Hill farmers markets for christmas, he loved it but i am still getting a taste for it. Thanks for all the comments everyone. Muppy, a good introductory cider for you would be the Two Elk or the 46+ both are superb!